Scroll down to the 'Injectios' tab. 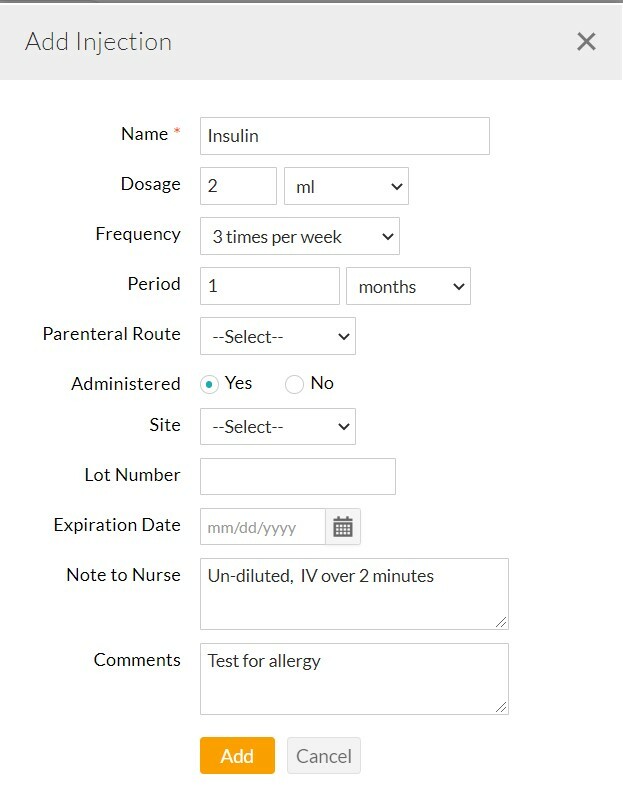 Click on 'Add Injection' option. The following popup will be shown. Go to Home page and click on 'Injections' > 'Injection Orders'. Click on any of the patient's injection order you wish to view or edit. Once the injection is administered, mark 'Administered' as 'Yes'. Also, key in the other details about the injection, viz., Administered Date, Administered Time, Route, Lot Number, etc. for future reference. Select 'Save'. The injection order will be shown under the status 'Administered'.